Like every year, we will open our beautiful summer terrace soon again! 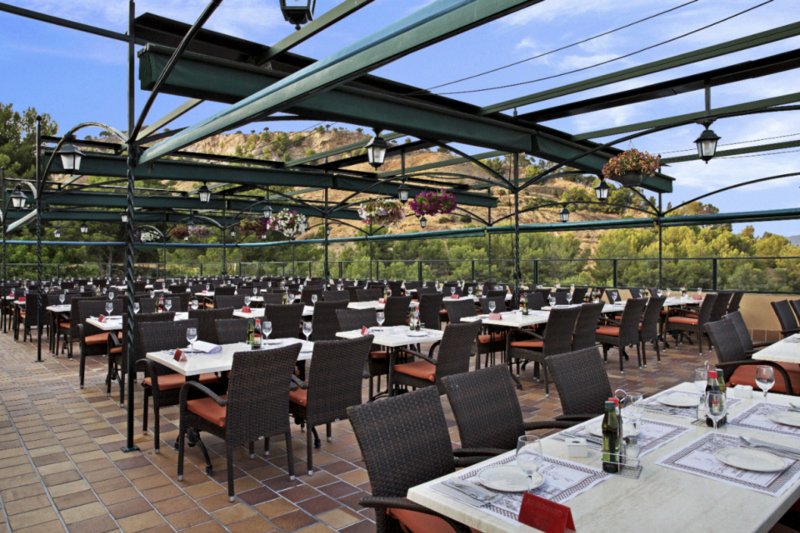 It is the perfect place to enjoy the great view while trying some of our delicious dishes. Please be advised that the terrace opens only during dinner hours! Mesón Ca’n Pedro has adapted to the latest technology with the introduction of its new website. This website has been made with the needs of today’s customers in mind. It is committed to the integration of social networking into the website, as the new site has a blog that will provide relevant content related to the company, its suppliers and customers. In addition, it offers customers the opportunity to book online through a booking request form. Furthermore, Mesón Ca’n Pedro has official pages on Facebook, Twitter and Instagram in order allow daily interaction with fans on social networks, who can take advantage of promotions, offers and competitions.